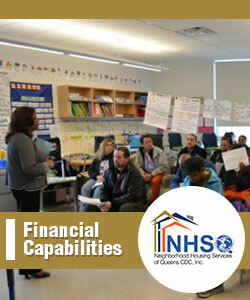 Neighborhood Housing Services of Queens CDC, Inc.
"Empowering Our Neighbors. Stabilizing Our Communities"
Congratulations for taking the first step towards successful homeownership by visiting our website! 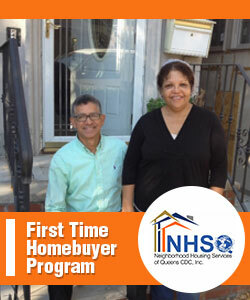 Our first-time homebuyer program will prepare you for the responsibilities of homeownership, empower you to make smart decisions throughout the home-buying process, and connect you to the most affordable mortgage products, including any downpayment and/or closing cost assistance programs for which you may qualify. The First-Time Homebuyer program includes classroom education and one-on-one counseling with a certified Homeownership Counselor. NHS of Queens CDC is a certified HUD counseling agency. To get started now, please download and complete the Intake Package and collect the required documents listed here, and submit to us and contact us for an appointment. If you are not sure if you are ready to begin the home buying process, or want to learn more about our programs, attend one of our Free Homebuyer Orientations. 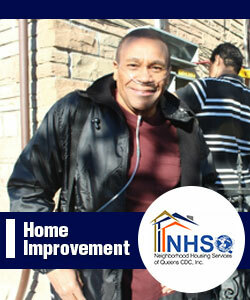 Contact NHS of Queens today for an appointment with a Certified Housing Counselor. CopyRight ©2017 Neighborhood Housing Services of Queens CDC, Inc. All Rights Reserved.